One of the many little-known services undertaken by the Federal Reserve Bank of New York is to hold and move gold for central banks from other countries. Vault employees moved the bars of gold from one country’s locker to another country’s locker. Workers wear magnesium shoes in case they drop a bar on their feet. As a security precaution, the responsibility of unlocking the vaults in the morning falls to economists of certain rank, like it did with Paul Bennett, PhD, clinical professor of finance and business economics at the Gabelli School of Business. “It is kind of cool,” he said, noting that the physical move of gold bars represents a tiny fraction of the trillions in currency that move through the Federal Reserve every single day. Analyzing how those trillions move falls to economists like Bennett, who, after spending more than 20 years at the reserve, rose through the ranks to become senior vice president. He eventually left the reserve to become chief economist at the New York Stock Exchange from 2001 to 2008. Bennett does not diminish the human cost of terrorism or the economic downturn. But he points out that the markets continued to function and recover after 9/11 and again in 2008. He said that people often forget that the post-9/11 recession began with a tech bubble that burst well before the attacks. 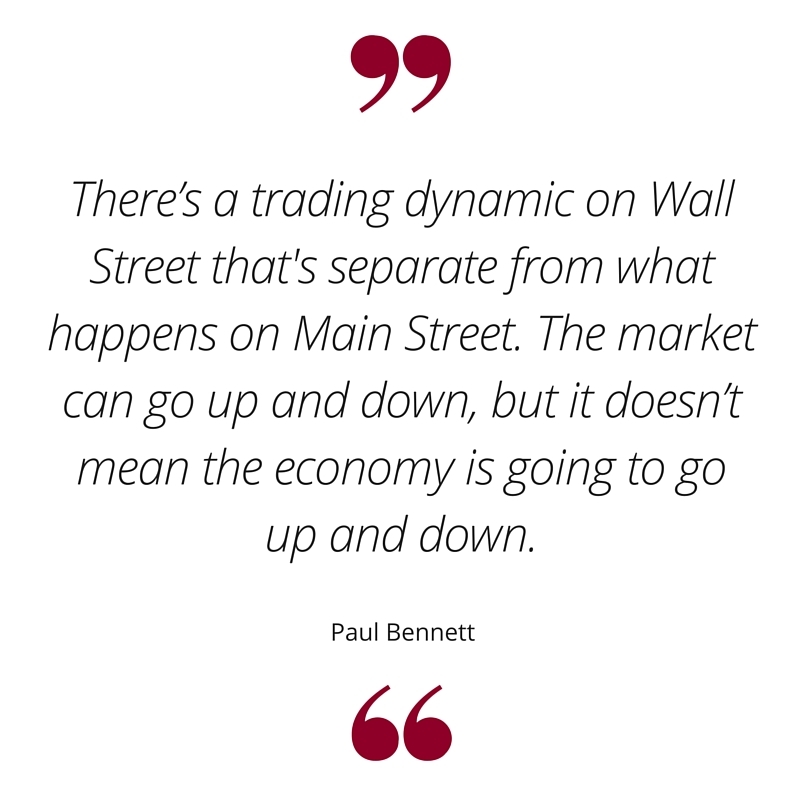 Bennett was quick to note the distinction between the markets and the economy. “The U.S. stock market is not as integrated with the U.S. economy as some imagine. 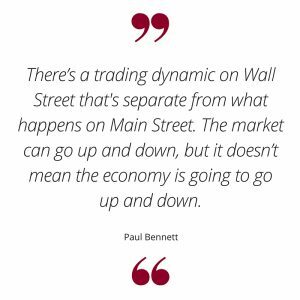 There’s a trading dynamic on Wall Street that’s separate from what happens on Main Street. The market can go up and down, but it doesn’t mean the economy is going to go up and down,” he said. 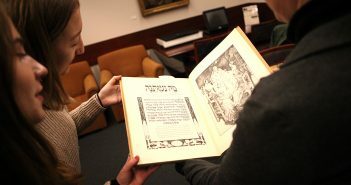 Bennett’s views on the economy developed in two environments that he said were culturally distinct: the University of Chicago, where he got his undergraduate degree, and Princeton University, where he earned his doctoral degree. He said that Chicago “did real world” analysis whereas Princeton was heavy on economic models, equations and the language of math. A Princeton-educated economist usually went into academia—but not Bennett. 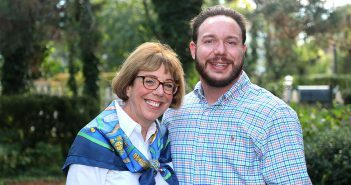 “I wanted to go do something that applied to the real world, in New York,” he said. During his 20-year career at the Federal Reserve, he played many roles at the bank, with research being one component. He also supervised transactions between the big banks. And he advised the president of the New York Federal Reserve who in his role as vice chairman of the Federal Open Market Committee (FOMC) influences monitory policy, such as interest rates. “It was gratifying to brief the (NY Fed) president before every FOMC meeting and say this is important and here’s some research you have to keep in mind,” he said. Though, he admitted, economists aren’t always successful. He pointed to the fact that, since the Great Depression, the field of economics has grown tremendously in this country. Of the 75 individuals who have received the Nobel Prize in economics, 53 were from the United States. “These are things that we (Americans) have actually gotten kind of good at,” he said.